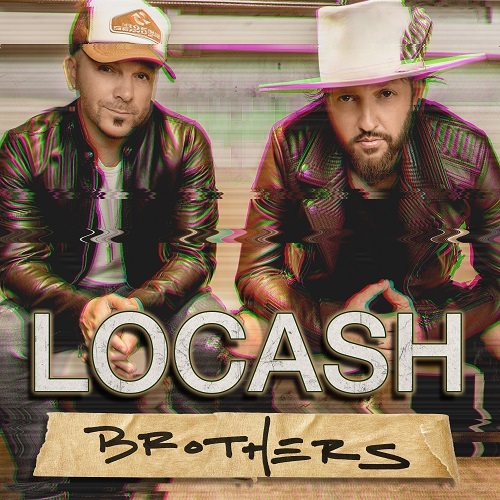 The acclaimed country duo, LOCASH today announced their new full-length album, Brothers, will be released March 29 and is available today for pre-order digitally. This will be the “separated at birth singing partners,” (Rolling Stone) Preston Brust and Chris Lucas’ first project with their new label family, Wheelhouse Records/BBR Music Group. The title is derived not only from the undeniable bond the two share but also from one of the pair’s main objectives for the project: bringing people together. The twosome, often mistaken as biological brothers thanks to an inexplicable natural chemistry, crafted Brothers with a worldly message in mind “everybody is connected, even if it isn’t by blood.” Chock-full of feel-good tunes that make you want to call up friends, reminisce and make new memories Brothers has a neighborly sentiment woven throughout the project that makes the camaraderie of the pair almost palpable. Persevering through several tough breaks (and a handful of small independent deals) throughout the years has only strengthened the twosome. The hardships have pushed Brust and Lucas, and their families, to become closer-than-kin and that much more commited to their music and their creative partnership. Despite the setbacks, the guys have been able to accomplish a great deal as a pair including earning three #1 singles, three major award nominations and a slot on Tim McGraw and Faith Hill’s SOUL 2 SOUL Tour. Listeners got their first taste of the duo’s feel-good project with the fall release of “Feels Like a Party,” which debuted at Country radio as #1 Most Added and Taste of Country immediately dubbed “an unbiased, anthemic sing-along.” Written by LOCASH’s own Brust and Lucas along with the track’s co-producers, Corey Crowder and Florida Georgia Line’s Tyler Hubbard (who also co-wrote the title track), the song emits undeniable party vibes with a laid-back groove and “makes the pair’s party-minded harmonies gleam in the harsh light of 2018” (Boston Globe). This weekend the pair is fully immersing themselves in all of the pre-game festivities in Atlanta, leading up to the big game on Sunday. Yesterday the pair co-hosted the Pepsi NFL Rookie of the Year at the Pepsi Rookie Brunch Party alongside ESPN’s Samantha Ponder. Today Preston and Chris will join Sirius XM’s The Highway (Channel 56) at 10:30am ET for an interview and exclusive performance of their Top 30 hit, “Feels Like A Party.” In addition to several other appearances, LOCASH will also perform live at the New England Patriots Official Fan Rally at Super Bowl LIVE presented by Verizon at Centennial Olympic Park on Saturday at 1pm ET. Brothers, produced by Corey Crowder, Tyler Hubbard, Lindsay Rimes and Jordan Schmidt is available for pre-order here.